Chicago Action Medical hosted a protest health and safety training co-sponsored by Students for Health Equity in late April of this year. Students for Health Equity or SHE is a UChicago student group that organizes around health care justice on the south side. In this short training, we discussed tips for staying healthy and safe while protesting! We covered what to bring and what not to bring to a protest, how to be prepared for different weather conditions, working with a buddy, police weapons and tactics, know your rights, jail support and did an eye flush demo. Here are some pictures from Students for Health Equity from the training. If your organization is interested in a health and safety or a longer 20+ hour street medic training, feel free to contact us at chicagoactionmedical@riseup.net or get in touch through our Facebook page or our twitter. Some tips for what to say from our handout if the police approach you, detain you at a protest, come to your house and try to serve a warrant or want to come in your house. A booklet from the Center for Constitutional Rights about what to do if you or your organization is approached by federal law enforcement. 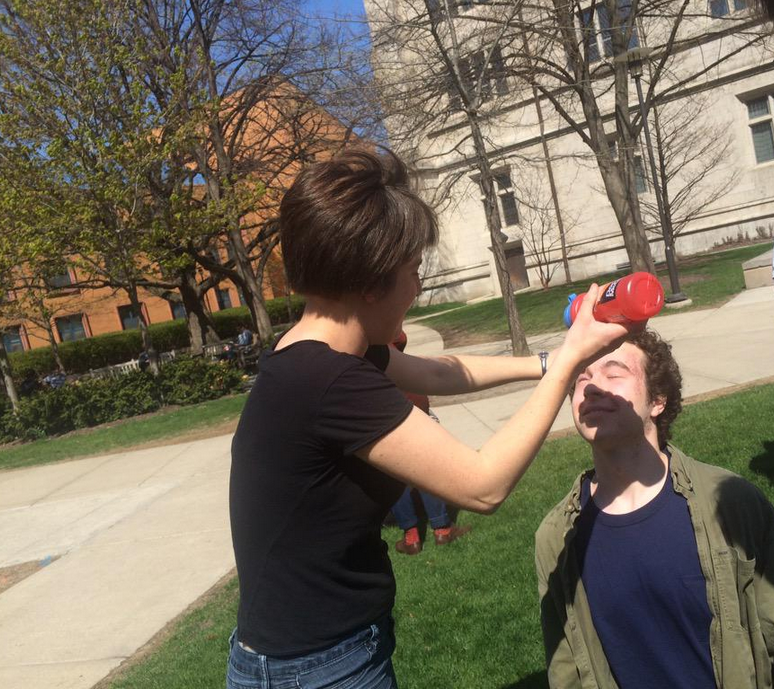 Eye flush demos in the spring sun! Chicago Action Medical is proud to be working with St. Louis local street medics to provide trainings ahead of expected protests in St. Louis and Ferguson if the grand jury investigating officer Darren Wilson returns without an indictment for the murder of Mike Brown. We have three trainings planned, two shorter 2-hour trainings this coming weekend and a longer 8-hour training planned for Sunday the 9th. See below for more information on the planned trainings, and e-mail chicagoactionmedical@riseup.net with any questions or to request any additional trainings. *Check back for updates, and trainings will probably not happen if the grand jury returns first. This short protest safety workshop covers steps you can take to help stay safe on the streets, police weapons and tactics, eye flushes for pepper spray and teargas exposure, and other topics. It will be part lecture, part practice, and free. For a more comprehensive training with more first aid skills see the info below on the Affinity Group Medic Training. TWO TIMES TO CHOOSE FROM! 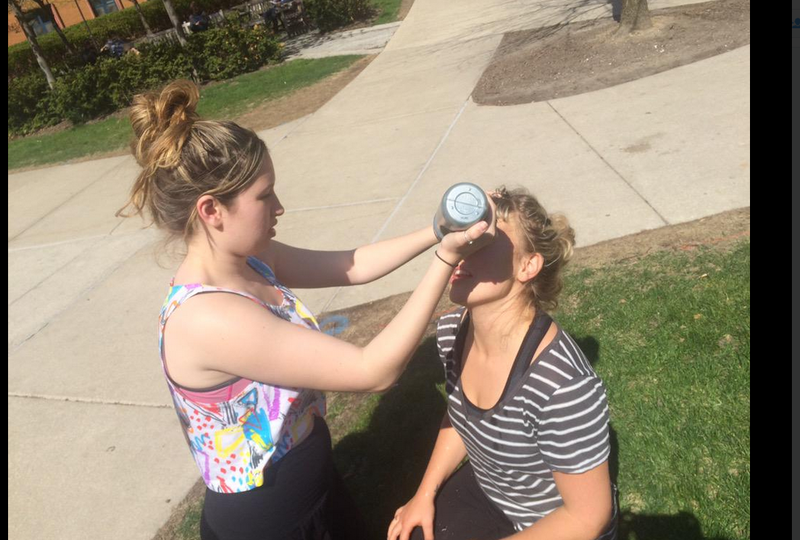 This full day course covers basic first aid knowledge for taking care of yourself and your friends at protests. Going more in depth to the information covered in the shorter Health and Safety training, this training will also cover basic first aid for injuries common or catastrophic at protests, including hypothermia, breathing emergencies, head trauma, car accidents, and gun shot wounds. Note that this is not a CPR course, any official certification, or the full 20-hour Street Medic Training designed to train people to run as marked medics providing care for an entire crowd of protestors. Sliding scale $0-30, lunch provided, participants will receive a first aid kit.